If you don’t find the answer to your question, don’t hesitate to mail us. 1. What kind of prints do you sell? We are Amri Ginang’s Internet-based gallery, focusing on his fine art photographic works. We sell original prints, created using photographic techniques like conventional silver halide printing and digital giclee (inkjet) printing. 2. Where were the prints created? All of the photographs were created by Amri Ginang during his time in England, Sweden and KL. This is essential in order to ascertain the photographs’ origin, age and history. Many of the older prints have come from his time in London and Stockholm in from 1976 up till 1998. 3. What techniques have been used to create these photographs? Amri Ginang works both with film and digital camera. By far the most common printing technique used for his prints is black and white printing, processed using gelatin silver developing. This method began to dominate during the 1880s and has since evolved to become the most widely used photo paper during the entire 20th century and up to the present. In most cases, a classical black and white paper print is the same as a silver gelatin print. With the strong development of digital photography during the past ten years, many photographers have abandoned their old darkrooms for new digital printing methods, such as giclee (inkjet) printing. A result of this digital trend is that the old conventional method of printing using gelatin silver photography is becoming increasingly rare and thereby more attractive for collectors. 4. How many prints are there of each subject? In theory, photographers can make as many prints as they want from a negative. However, all historical evidence of serious photography shows the opposite. A skilled photographer like Amri Ginang often has to spend many hours in the darkroom or digital printing studio to produce a single print with which he is satisfied. The complicated and time-consuming darkroom process has frequently led to photographers terminating their work when they have only created a couple of prints that fulfilled the strict requirements. For photos that are more than fifty years old, or even older, there is often only one or seldom more than a handful of prints preserved from each negative. However, there are also negatives that are printed again several times during a photographer’s lifetime. There are a number of examples in photographic history of photos for which there have been vast differences in time between the creation of the first and last prints. Discovering a print that is from the time when a photo was originally taken is often a collector’s dream. Such prints are called “Vintage prints” and fetch high sums of money at such auction houses as Christie’s and Sotheby’s. The prints’ appearance and design often vary significantly between the oldest and latest prints. This phenomenon can be clearly seen in the work of Hungarian-born photographer André Kertész, for example. Prints from 1920s Paris were carefully printed on beautiful matt board, with a broad tone range, and had an intimate format often no bigger than a cigarette packet. The same negatives printed fifty years later had a completely different appearance. Their format became larger and they were printed on thin gloss paper, with a higher contrast level and more noticeable blacking. Many found that the modern prints lost the greatness and charm of the old prints. A vintage print by André Kertész from a significant photo from the 1920s can cost more than USD 100,000, while a modern print from the same negative costs USD 5,000 and upwards. The number of prints made from each negative can differ between photos and photographers. Some photographers made only a few prints of a photo, while other photographers, such as Cindy Sherman, Robert Mapplethorpe and Ansel Adams, created limited editions of a negative. 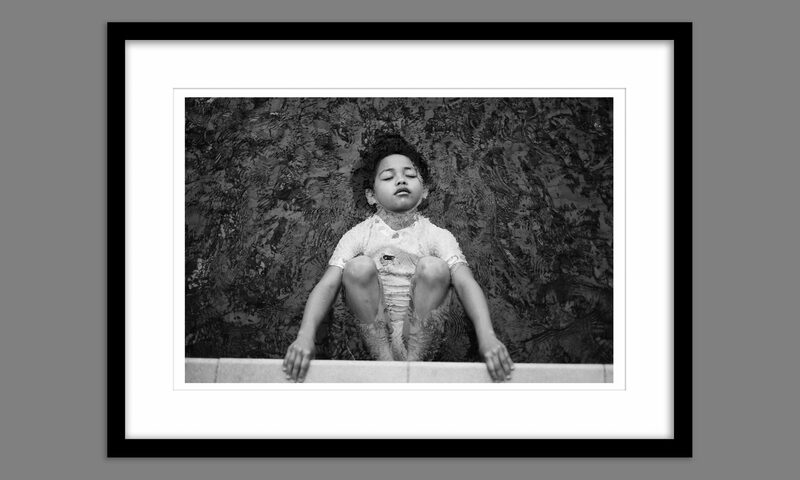 Other renowned photographers, such as Henri Cartier-Bresson, instead chose to make a new print each time someone wanted to purchase, an approach that became known as “print on demand.” Amri Ginang prints 24 prints of each selected subject per calendar year. 5. Are the photographs signed? All of the prints have been signed by Amri Ginang. Detailed information about each photograph can be found adjacent to the photo on our website. Just as not all paintings are automatically art, there is also a span of good and bad photography within this field. Naturally, there are no differences in the artistic value of various artists’ work, for example, painting, sculpture and photography. In reality, it is the ability of the photographer to animate the object that determines the artistic value of a work of art. The interest in collecting contemporary and older fine photography has increased substantially during the past ten years in countries such as the US, Germany, Japan and the UK. All of the major auction houses issue a number of catalogs each year focusing exclusively on photography, containing many hundreds of items. Today, every art museum has a department for photography and it is as self-evident as painting and sculpture. Generally, the attention paid to fine photography has also grown substantially. This is clearly noticeable when reading architectural and home-design publications, or visiting restaurants or shops, where there is now rich exposure given to the art of photography in a completely new manner. In many cases, photography has replaced painting in the interpretation of modern times. 8. Is buying photographs a good investment? Historically, the increase in the value of international photography has exceeded the index for both paintings and stocks. Those who began to collect during the 1970s have been able to see their collections increase in value by more than 1,000%. With regard to the hidden existence that photography has led for a long time, we perceive it as considerably undervalued. Today’s low prices and the generally high quality mean that we regard these photos as offering very good value for money. 9. What photos should I buy? We recommend that you primarily select a photo that moves you. The best investment is to let the heart and the eyes make the choice. We also hope that the photo will not be put away in a box, but instead be framed and bring pleasure to its owner for a long time. If it then later increases in value, this is an added bonus. 10. How should the photo be framed? If you purchase a photograph from us, it is delivered in an acid-free passe-partout. The prints are supplied unframed, except when Amri Ginang has designed a frame especially for the print. For those who arrange their own framing, it is important that the photo remains in the acid-free passe-partout and that the photo is hung so that it is not exposed to direct sunlight. 11. The print size is stated in centimeters – is this the size of the photo paper or the size of the print? It is always the size of the actual print that is given. In the darkroom, it is usual that the photographer produces his print with a broad border around the actual print. The print is thus protected when handled, since only the broad white border is touched when lifting the photograph, for example. It is also easier to mount the photograph in a passe-partout when there is a broad border.